I’m a huge fan of Dan Hong’s style of cooking. Watching his #Shelfie series on ABC iview confirmed this further: he was throwing together random but delicious ingredients like instant noodles, corn chips, chilli oil, and kewpie mayo (well, not into one dish – though I feel like that could taste amazing). And I was left feeling hungry after every single episode. 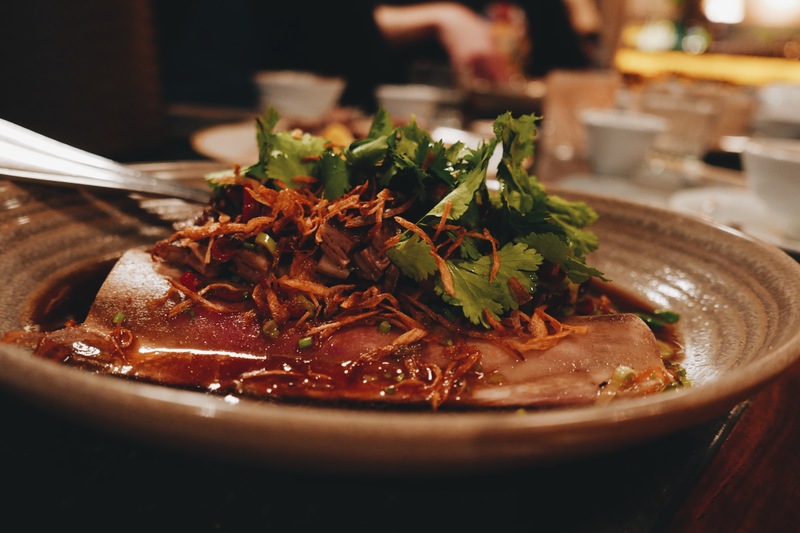 At the helm of restaurants Ms G’s and Mr Wong he doesn’t go as far as his #Shelfie concoctions, but there’s still an underlying slant for umami, punchy, spicy, and multi-textured food. It’s that kind of food that speaks to me. Add to the equation head chef Brendan Fong who I know from his days cheffing at Toko years ago. On my third visit to Mr Wong, I’m reminded of the high caliber of cooking and the quality of ingredients that you can’t find at your local Chinese restaurant. 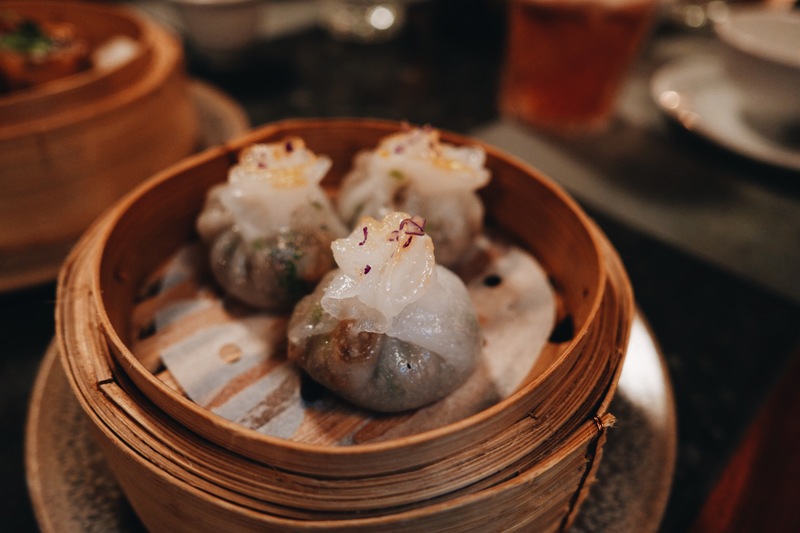 The wild mushroom dumplings are vegetarian perfection, laden umami intensity. 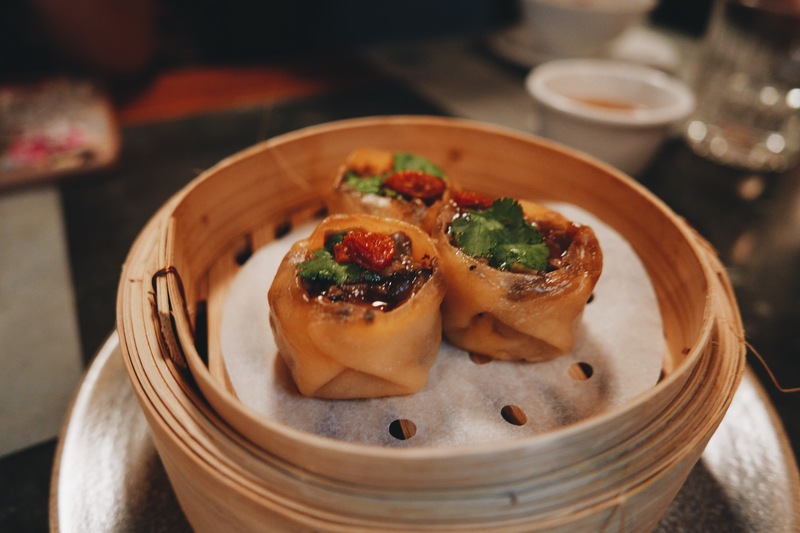 The BBQ pork cheung fun is silky and slippery. As expected the pork xiao long bao go down a treat. 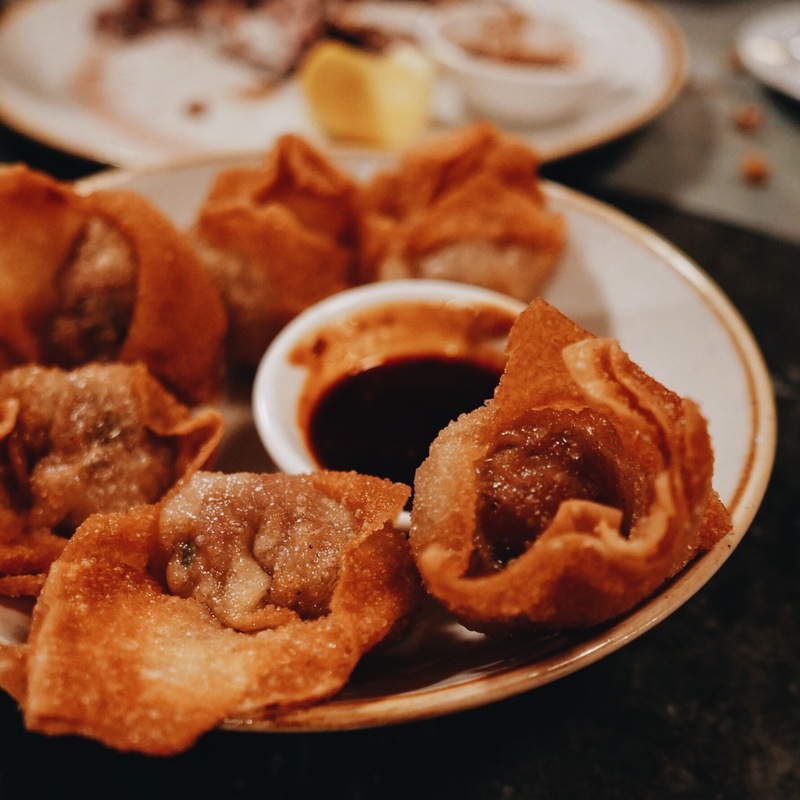 The pork and asparagus wontons are tasty little suckers served with a punchy Szechuan sauce. 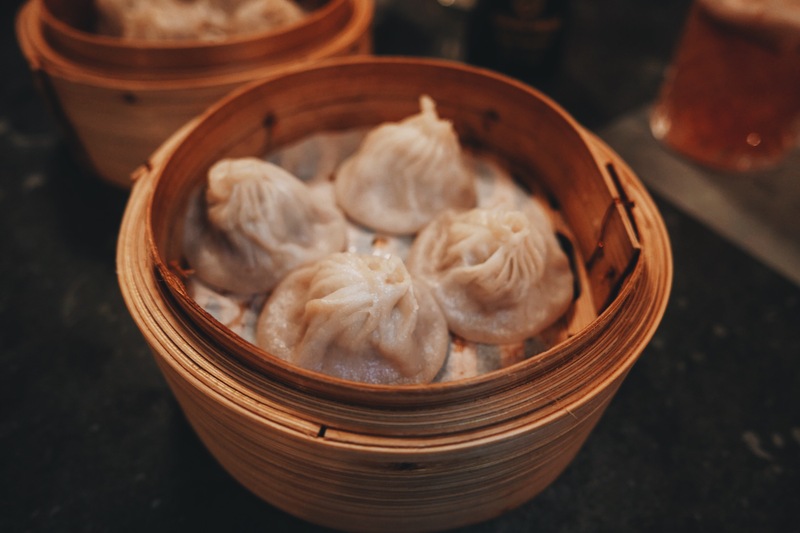 But I’m most impressed with the flavors and the delicate, translucent skin of the chive and roast duck dumplings – so good, you guys. 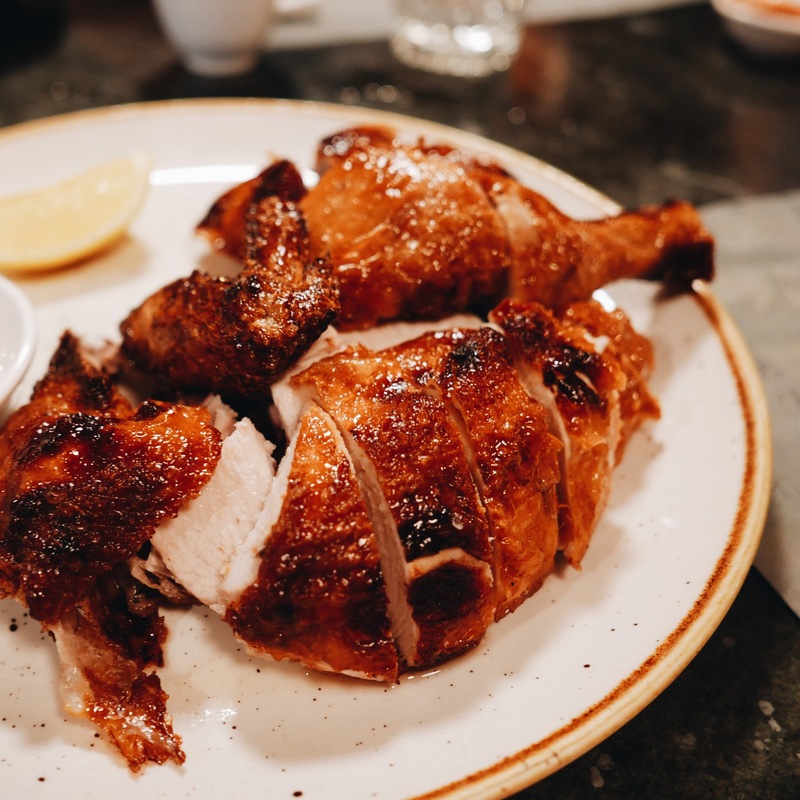 On the more substantial front, we order half of Mr Wong’s crispy skin chicken. 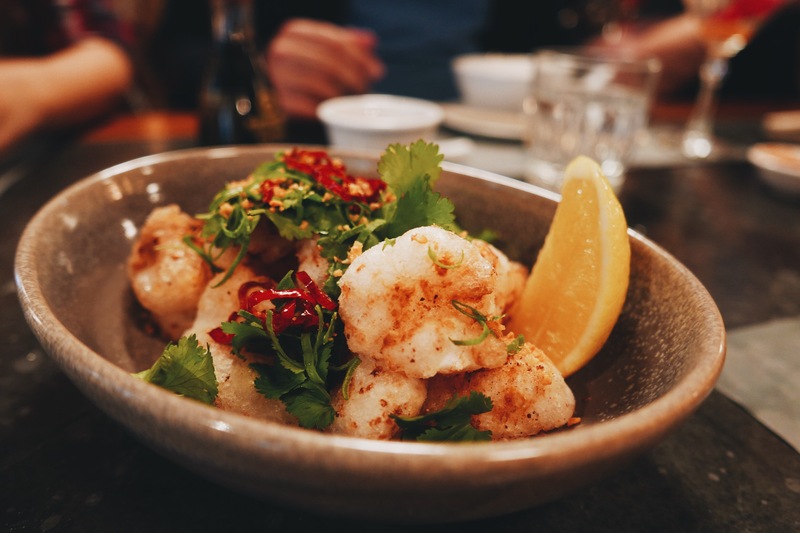 Continuing the crunchy journey, we try the crispy fried Balmain Bugs with spicy salt, which take awesome to a whole other level. 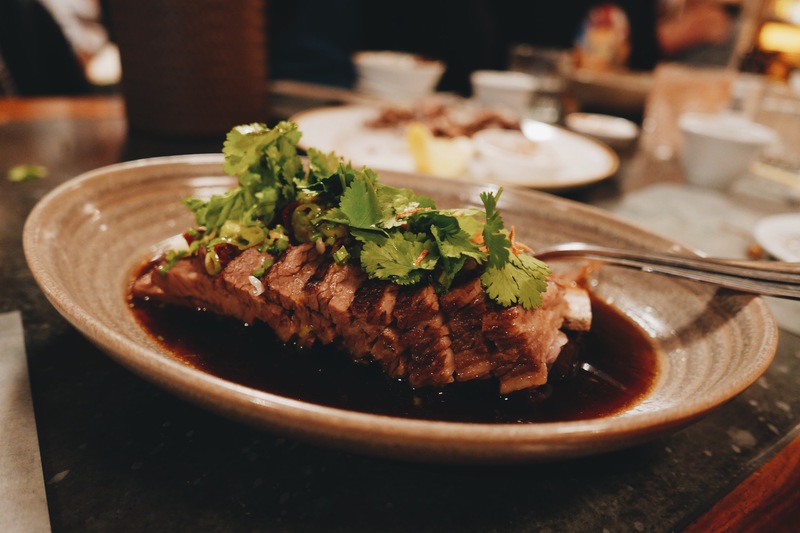 Rich and hearty, the roasted Angus beef short rib is swimming in a Shandong style soy, chilli, and shallot dressing. 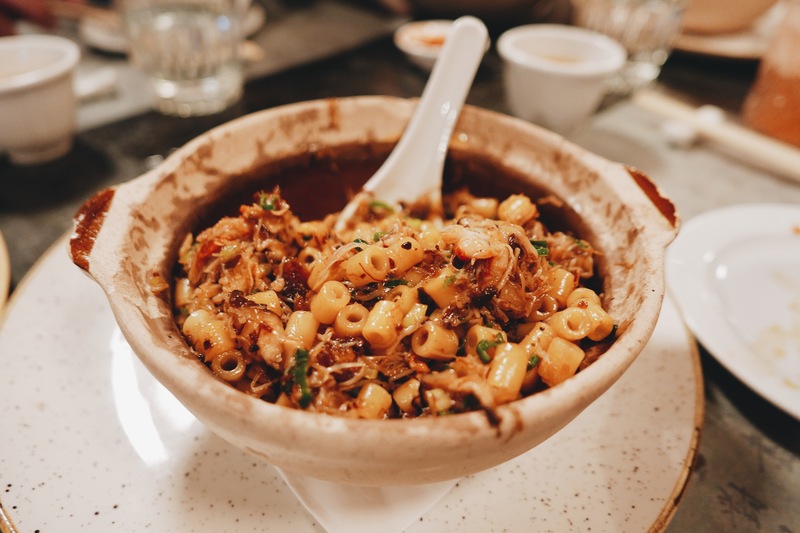 Now for the moment we’ve all been waiting for: the claypot macaroni, snow crab, XO, and yolk. This is the reason we’re here on this particular Saturday. 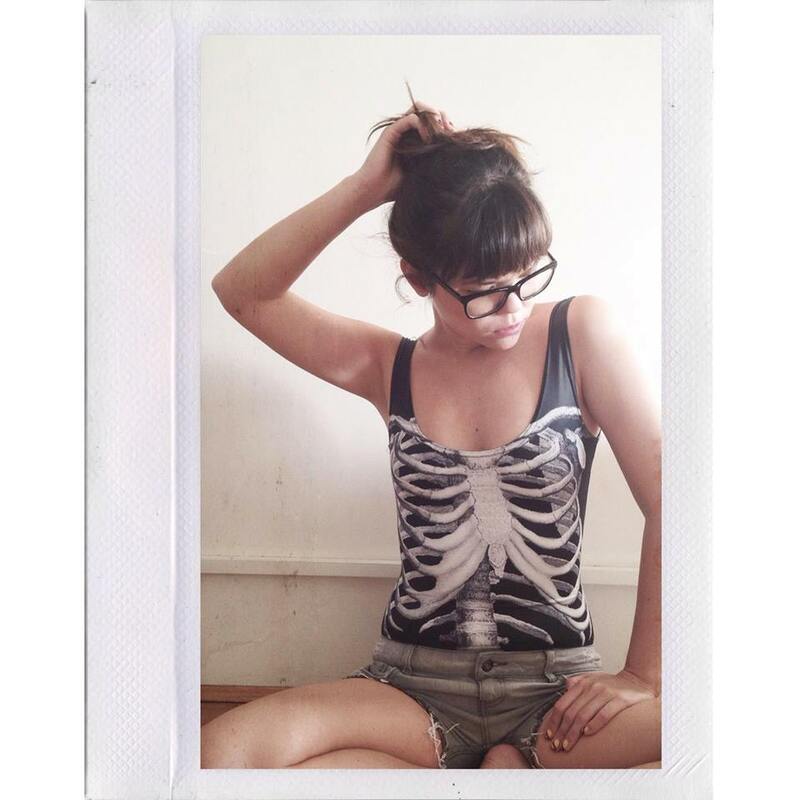 Nadia and I had seen this video by @victor_hohohola, and were practically drooling with glee. It’s high intensity in flavor, so getting two serves of these between six of us proved to be unnecessary. 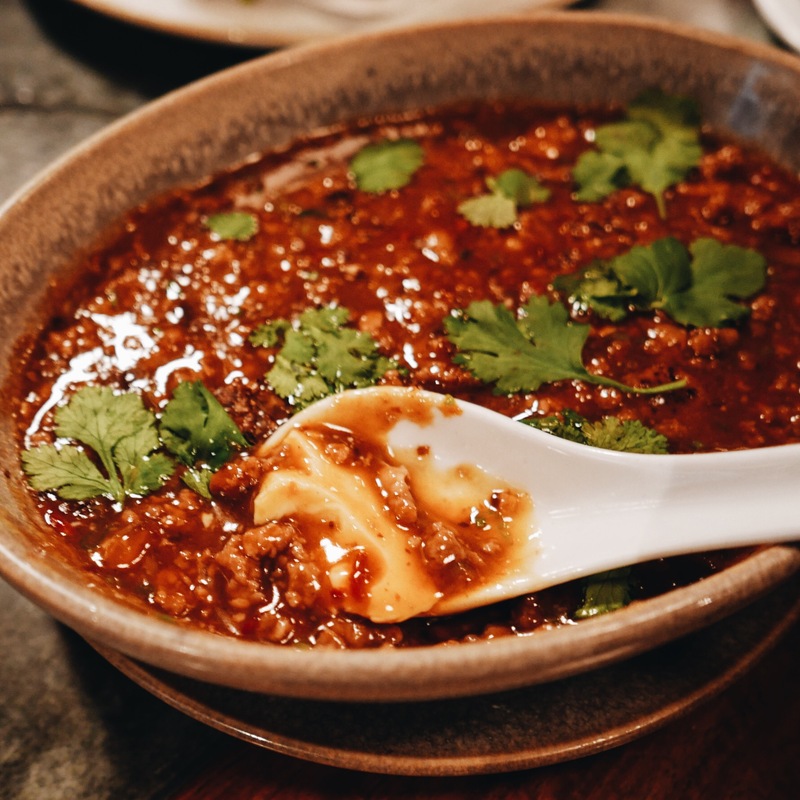 The mapo tofu at Mr Wong is sicker than your average (hello fellow Biggie fans!). 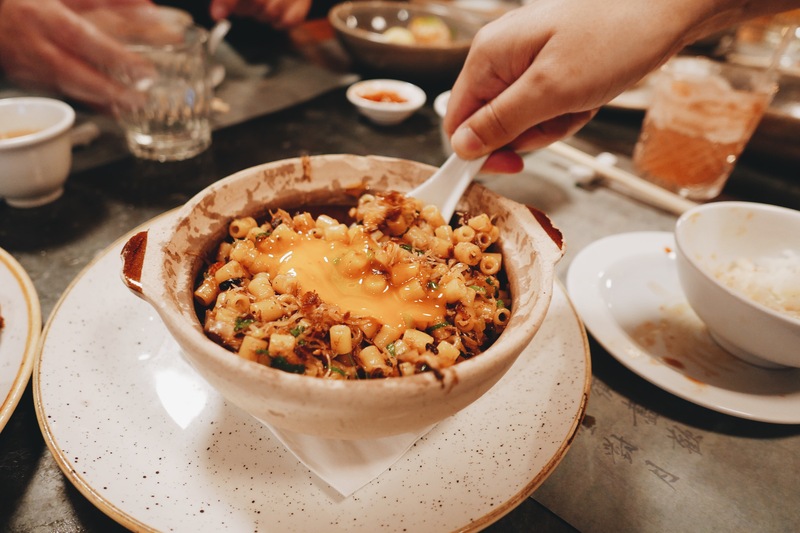 Instead of regular silken tofu, it’s freshly steamed soy milk custard topped with a moreish pork mince, chilli, and Szechuan pepper layer. I’m kicking myself that we didn’t order two serves of this. A bit of greenery never hurt anyone, and the stir fried snow peas, snap peas, and broccoli with garlic and rice wine offer a fresh escape. If you like your veggies injected with loads of flavor, go for the twice cooked green beans with pork mince and XO sauce. Quite like Ms G’s, the desserts are always, always memorable. Every dessert sets out an awesome combination of different textures, plus some kind of ice cream or granita element. My favorite way to end a meal is with ice cream, so the desserts at both Ms G’s and Mr Wong are exactly to my taste. 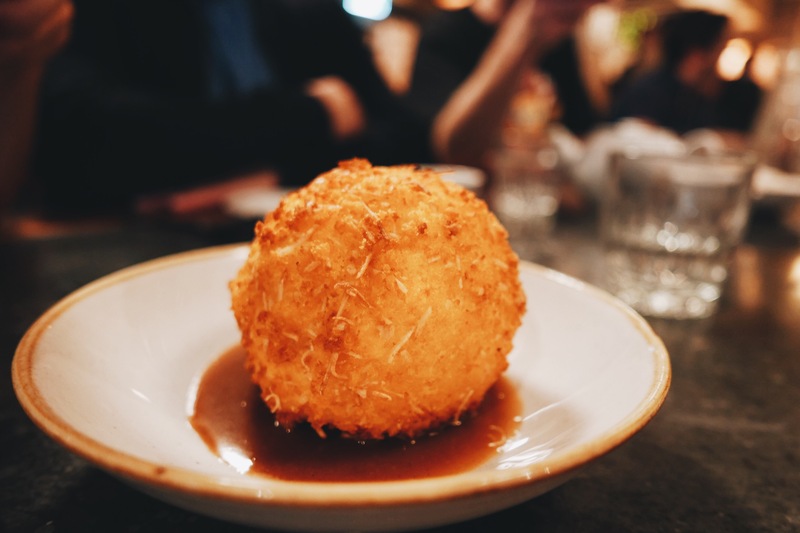 Mr Wong’s deep-fried vanilla ice cream with butterscotch sauce is probably my least favorite of all the desserts, but I’d attribute this to the fact that I don’t have any nostalgic love for deep-fried ice cream like many of my Aussie friends do. 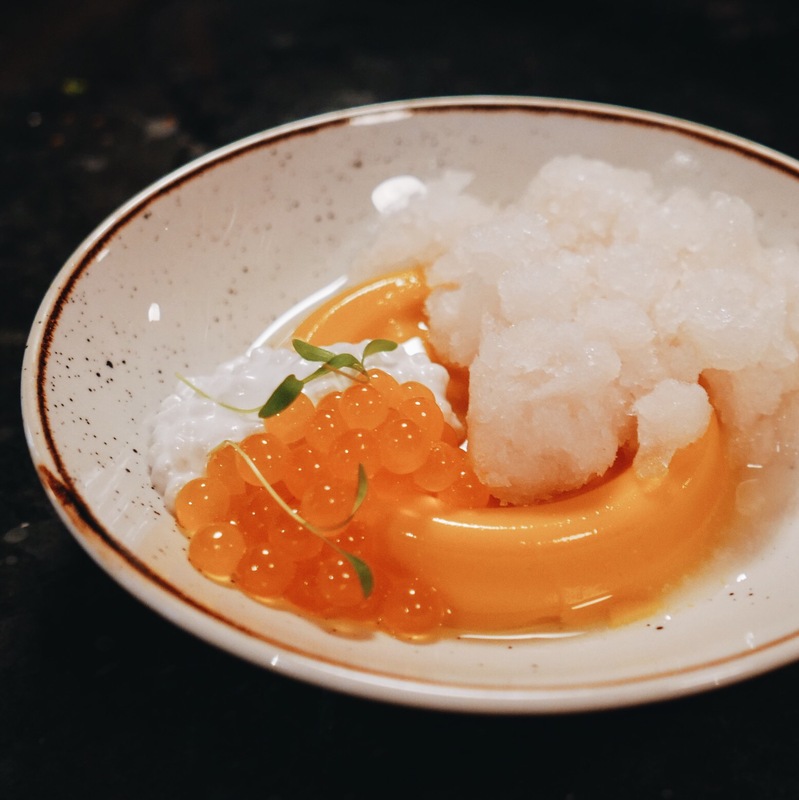 The mango pudding with coconut tapioca, lychee granita, and mango pearls is, however, fantastic.